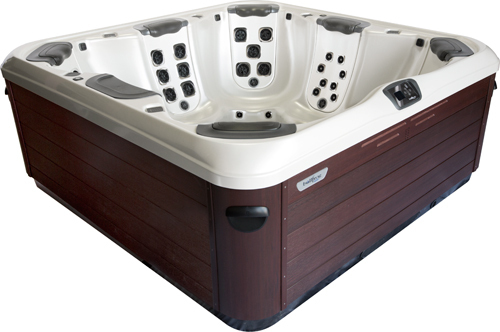 The Bullfrog Model A8 accommodates eight people – the largest seating capacity of all our spa models. Stretch out and relax in comfort and style or invite your friends for a fun get together. 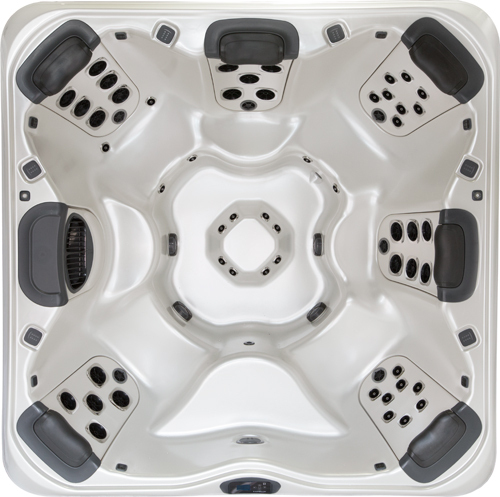 The A8 is a large 8-person hot tub that sets the standard for space and seating capacity. With its comfortable open layout and 6 JetPak’s of your choice you will enjoy a selection of massages to suit everyone.